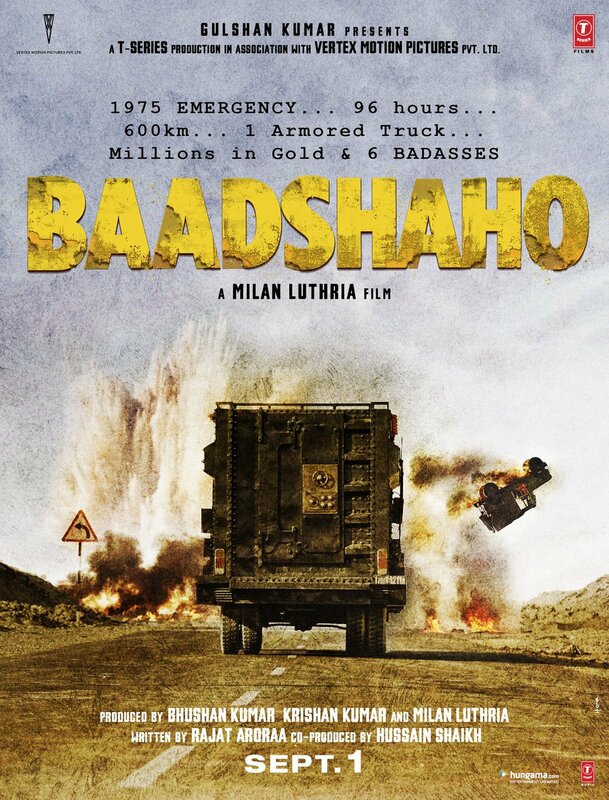 Ajay Devgan, Emraan Hashmi, Ileana D’ Cruz and Esha Gupta starrer 'Baadshaho' poster is out. Ajay Devgan unveiled the first look of this Milan Luthria film on his Twitter handle and the film is scheduled to release on September 01. Ajay has captioned his tweet- "1975 EMERGENCY...96 hours...600km...1 Armored Truck...Millions in Gold & 6 BADASSES. Baadshaho Sandstorm Is Coming!" Clearly, the film is set in the 1975 Emergency period and by the looks of the poster, it is evident that this is going to be an action thriller ride with lots of car chases on highway, bombs and explosions, planning and plotting. It is to be noted here that Ajay Devgan and Emraan Hashmi had worked with the director Milan Luthria in 'Once Upon A Time In Mumbai' seven years ago. The trio is back and hence the fans are eagerly waiting for the film to hit the cinema. Milan quoted to the news agency PTI- "This is a historical fiction film. We have used some facts, there is a lot of stuff that was unusual and exciting. It is a great backdrop for action and thrills. We have done extensive research on the subject."